The shelves are fixed, 9 inches apart and 5 ½” deep. 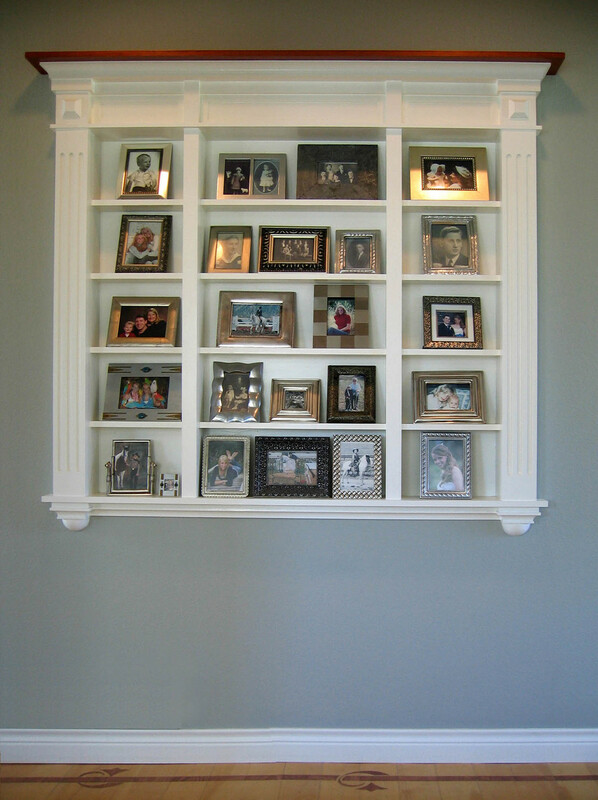 All the shelves except the bottom one have a groove near the front for the bottom of the photo frames to rest in. The trim sticks out from the wall a maximum of 3”. A cherry top finishes the unit and coordinates with other trim in my home. I unified the look of the collection by using only silver and black accented frames. Everyone who comes to the house spends a little time looking at the collection of photographs which include some childhood photographs of long gone relatives. It’s turned into a nice photographic display, and never needs straightening!